it makes a much better wine. The Mycorrhizal fungi on the roots helps extract the terroir’s minerality. This combined with low yields results in champagnes with rich aromas. I hand pick the mature grapes to preserve the purety of the juices and the richness of the polyphenols, the “French paradox”. with great length, with more than 10 “caudalies” in mouth. The best plots are aged in oak barrel cask to give more structure and nobility. an immediate pleasure as well as a strong expressive value. Like owning a beautiful piece of design. and the Marne valley. 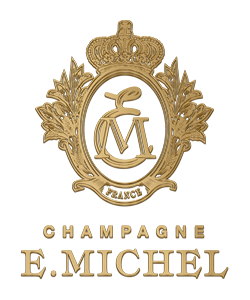 With its fine and long bubbles, this traditional champagne is pure, well-balanced, elegant, offering toasted and pastry aromas. offers a salmon robe and fine bubbles deserving special attention. It is the favorite wine of my grand-father, the founder of the House. This champagne “à l’ancienne” is rich, absolute, like the champagnes celebrated at the english court during the “Belle époque”. A broad shoulder champagne. With its deep golden yellow robe, a dense, complex and structured texture. The “Ultime” champagne I like to dream of, you will remember forever. To enter oir website, you must be of legal alcohol drinking age in your country of residence. If no such law forum for responsible drinking exist in your country you have to be over 21 to vist our site.